Olimp Creatine 1250 Mega Caps - 30 kaps. Economical and Convenient Creatine Monohydrate. A high concentration of creatine monohydrate in each capsule! Easy and fun dosage. It supports the growth of lean muscle! Highest quality morons monohydrate in powder form. The high degree of micronisation ensures rapid assimilation and comfortable to prepare each serving. Extremely anabolic substance, the application accelerates achieved gains in lean muscle mass and physical strength! Bet on proven solutions at a good price. Olimp Creatine 1250 Mega Caps - 400 kaps. Creatine and ribose are the best cellular energy suppliers and busterami growth, but in combination they provide an even more pronounced synergistic effect. 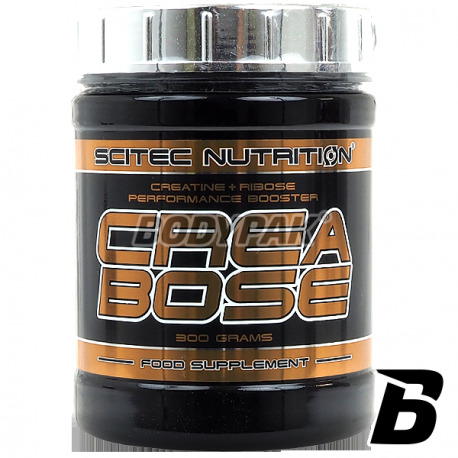 Scitec CreaBose - creatine and ribose are the best cellular energy suppliers and busterami growth, but in combination they provide an even more pronounced synergistic effect. Your muscles will receive support from two different, but not totally independent directions. The possibility of ribose to stop the breakdown of ATP in the muscle cells during hard work enhances the effect of creatine. 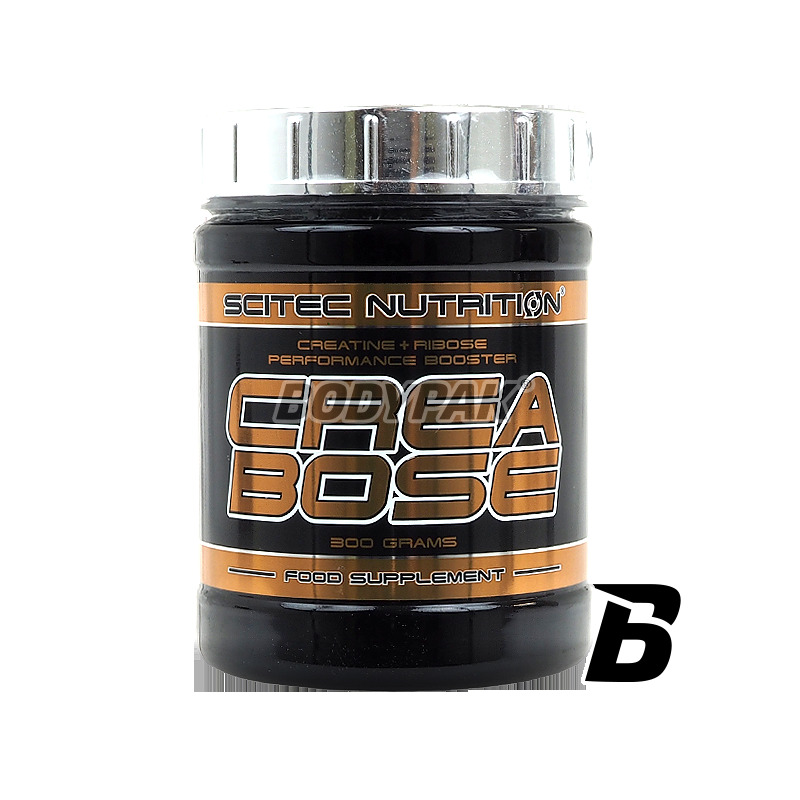 Scitec CreaBose is a combination of creatine with ribose, which allows you to increase the energy potential of the player, but if these substances act together synergistically to significantly affect the improvement of strength and muscle mass. It is estimated that supplementation with D-ribose is increased an average of six times the efficiency of creatine. After a few days of creatine, muscles become larger and more "inflated" - this is the effect of increasing the amount of creatine in muscle by about 50%. This causes a series of reactions that cause the cells absorb more water. Increased volume of the cell causes intracellular tension, the body interprets this as an anabolic signal - thereby stimulating the muscles to gain weight and strength. The result of the use of creatine is the immediate improvement of efficiency of the organism, which allows a longer, more intense workouts accelerate muscle building and will contribute to reduce the amount of body fat. D-ribose is a component of nucleic acids containing genetic information which regulates growth, development, division, and normal functioning of cells. It can therefore be concluded that ribose is an important element of the functioning of all living organisms. Ribose appears to be an indirect, effective and safe ingredient for maintenance of high physical form. Najlepsza kreatyna jaką do tej pory stosowałem. Żadna inna tak dobrze na mnie nie działała! Dorian Yates CREAGEN Matrix 5 forms of creatine monohydrate, creatine ethyl ester + creatine malate + TCM + alpha ketoglutarate + creatine pyruvate. Activlab Creatine Capsules - 300 kaps. If you work hard in the gym and you care about the growth of muscle mass and strength, it will also need a healthy dose of creatine! High-quality preparation for a sensational price! Convenient form of caps. Supports the rapid development of muscle mass and physical strength! Each serving of creatine monohydrate enhances anabolic processes. Highest quality guaranteed by the manufacturer! Trec Creatine Micronized 200 MESH - 400 kaps. Purest micronized creatine monohydrate, which makes it ideal when your cycle. Very effective anabolic without the risk of side effects! Perfect for strength athletes, speed-strength and endurance athletes. BioTech CreaSYN - 120 kaps. Advanced pre-training preparation, the use of which is associated with the sensational and extremely intense workout! Contains up to 2 effective forms of creatine, caffeine, beta alanine Praz natural plant extras! Bet on proven solutions! The highest quality creatine malate in a capsule form, which guarantees not only freedom of choice of the dose, but also the comfort of supplementation! Supports the rapid development of lean muscle mass and physical strength. It does not cause the effect of watering. The perfect choice for a series of creatine! Professional creatine stack of a certain composition and proven effect. Only active substances, including keratin and beta-alanine! Improving the growth of lean muscle mass and endurance training in a short time is at hand! Powder Creatine is a naturally occurring compound in the human body. It facilitates energy production, intensifies anabolic processes and stimulates muscle protein growth.